Being more productive is something every business aspires to, particularly when the organisation, or the economy as a whole, is going through a testing period. 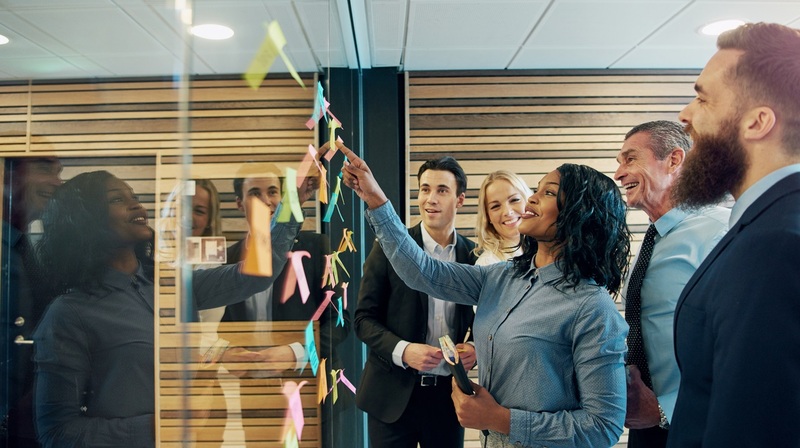 The challenge of raising productivity is a considerable one, with every company having to find its own methods to get the best out of its staff and to combat inefficiency. Improving and maintaining the productivity of British businesses has been something of a challenge for the UK economy in recent years. According to a recent survey by Opus Energy, 93 per cent of small and medium-sized enterprises (SMEs) in London identified productivity as a problem for their firm. More than three-quarters (78 per cent) of SMEs in Yorkshire, the south-west and the east of England said the same, smallbusiness.co.uk reported. However, there have been some encouraging signs on this front in recent times. Figures from the Office for National Statistics covering the three months to September 2017 showed that labour productivity – or more specifically economic output per hour worked – increased by 0.9 per cent. This is the fastest rate of growth for six years, although productivity trends are still well below those recorded before the financial crisis. So what can businesses do to help the UK economy continue on a positive path in 2018? The Opus Energy research showed that introducing employee wellbeing measures such as flexible working is a tactic that has been used by 46 per cent of London SMEs seeking to boost productivity. Paying above-average wages and offering various incentives and perks to raise team morale are also common approaches. Opus Energy also highlighted the potential benefits to be gained from locating businesses close to other, like-minded enterprises, in order to support a culture of collaboration and innovation. Ms Flanders commented: “While it’s great to see SMEs introducing perks and wellbeing benefits for their employees in order to improve productivity, it may also be worth researching the possibilities of joining a business cluster, in order to benefit from the proximity of other businesses. Experimenting with different workplace arrangements and flexible business space to give staff more freedom in how they work. Making sure people take regular breaks, to help them maintain focus and prevent declines in performance that could result from overworking. Abandoning practices that do not make efficient use of time, such as long meetings and pointless phone calls. Making a special effort to acknowledge employees by name and recognise the good work they are doing. Encouraging people to support and communicate with one another, to create an environment where the entire workforce feels that it is working towards a common goal.